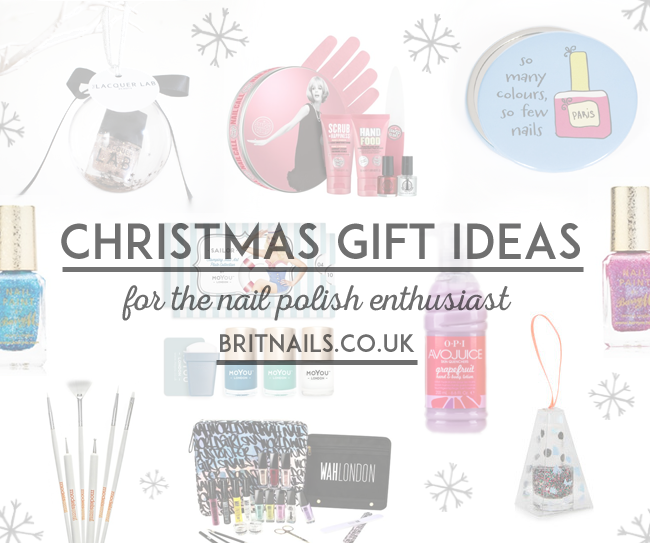 There's still plenty of shopping days left until Christmas (or so I keep telling myself) and I've compiled a list of gift ideas for lovers of nail polish and nail art! If you're lacking in inspiration for a Secret Santa or a stocking filler, you might just find something here. 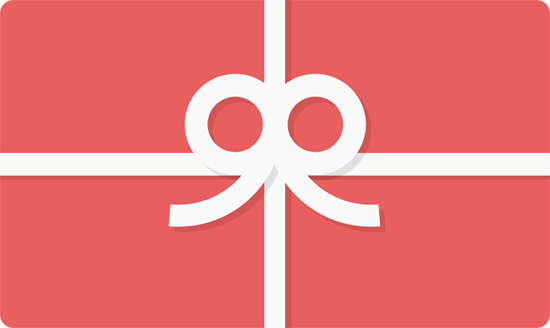 Please note there are no affiliate links on this post, just things I think would make genuinely nice gifts, and they're in no particular order. It comes beautifully presented in lovely packaging, and having used MoYou before I can speak for the quality. 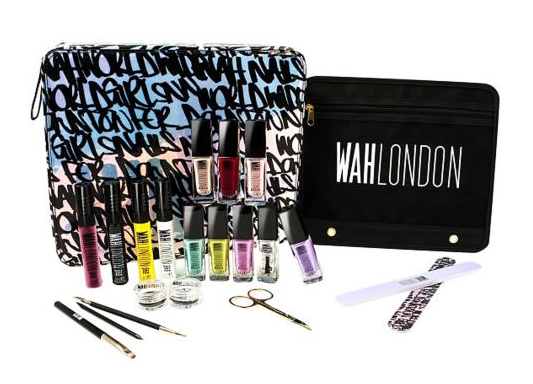 Both seasoned nail artists and those who just like to dabble would enjoy one of these sets. You can of course buy everything separately too, in case you fancy making up your own! Available from: MoYou London, priced £29.99 per set. There's no other nail polish quite like these on the high street at the moment! They're amazing quality and very affordable - I can't imagine anyone would begrudge finding a few of these in their stocking! Available from: BarryM.com, Boots and Superdrug (in store and online), priced £3.99 each. Basically a pampering kit for your hands and nails, presented in a really cute tin - I think I might love the tin even more than the products inside! Can I mention the tin again!? It also contains a couple of nail polishes, which is interesting as I've never seen Soap & Glory polishes before. I was reluctant to include this as it's a bit of a splurge, but it's just so fun! It really does contain everything you need to get started in nail art (I want to get my hands on that clean up brush) and it's all presented so nicely with the case and little carry pouch! 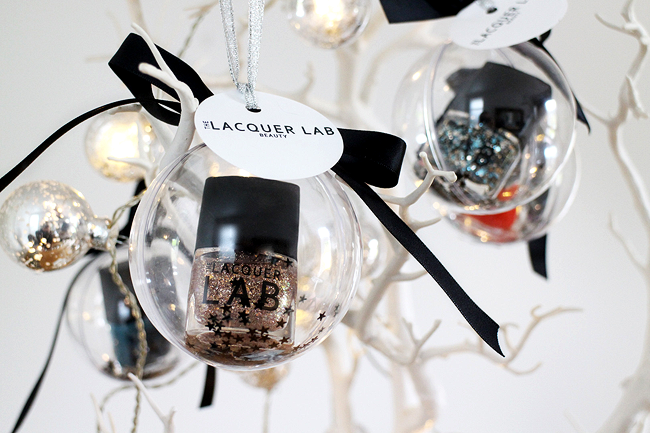 Gorgeous acrylic baubles containing a full size bottle of polish from The Lacquer Lab, with a sprinkling of confetti, ready to hang on the tree! Finished with a cute hand-tied ribbon and a gift tag to write a message on. I can't get over how cute the idea of a nail polish inside a bauble is! I've seen a few brands doing it this year, but these have to be the nicest ones I've seen in terms of presentation, and they have a personal touch. Plus you can choose any The Lacquer Lab polish to put inside! Availabe from: Only from thelacquerlab.com, priced £10 each. Continuing with the nail polish in a bauble theme, these are a cheaper option (though not as luxurious and your choice is limited in terms of polish) You get a mini Topshop nail polish inside a little pyramid, ready to go on the tree or in a stocking. Same reasons as the previous baubles - I just love the idea and they're so pretty! Available from: Topshop, in store and online, priced £5.00 each. 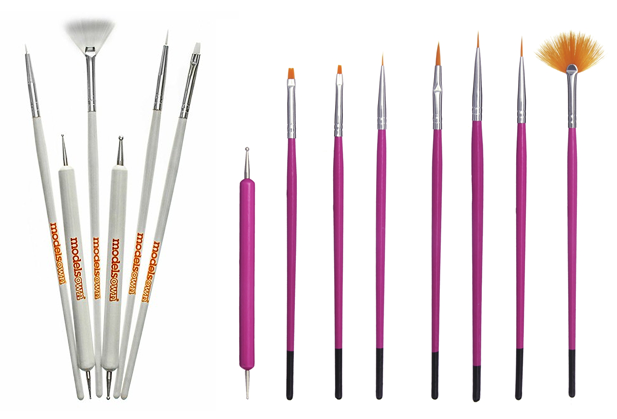 Complete sets of nail art brushes, containing a variety of different brushes plus dotting tools. Avojuice is OPI's range of hand lotions, and I adore them! So much so that I included them in my hand & nail care guide. They come in pump bottles or mini handbag size bottles, and if you bunch one in with an OPI polish or two, you've got a perfect present. Available from: OPI UK, priced from £2.25 - £9.10 depending on size. You can also find cheap deals for these on eBay! This is a fail-proof gift - give one of these to a nail polish lover and you're likely to lose them for hours while they choose what they want to spend it on. I'd probably be beside myself if I received one of these! Available from: Rainbow Connection, priced from £10. Ok, we've reached the end! I hope you find something helpful on the list. Happy shopping! 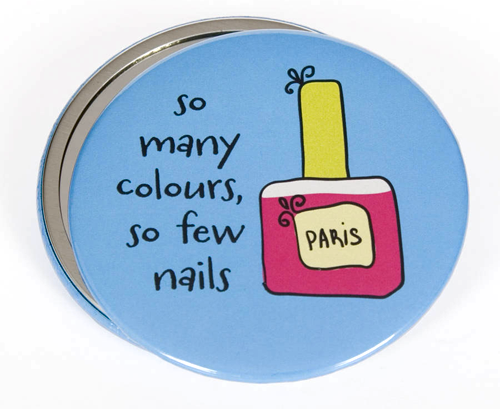 As a nail polish enthusiast - I CONCUR. cool I especially like the bubbles with the lacquer!!! !